Featuring a shared outdoor pool and hot tub, Port Canigó 344 is located 5 minutes´ drive from the beach in Roses. Free WiFi is available in public areas. 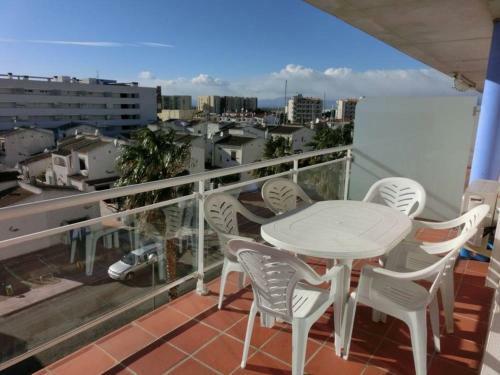 The air-conditioned apartment offers a furnished balcony and an open-plan living room with a flat-screen TV and a sofa bed. Complete with a washing machine, the full kitchenette comes with a dining table. 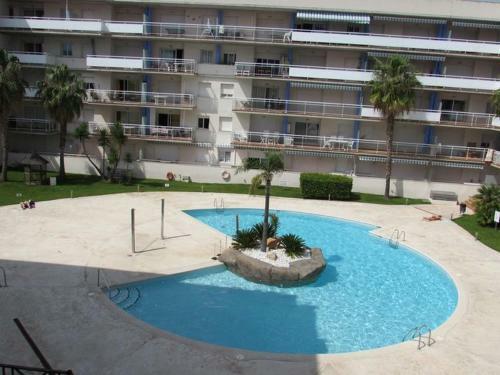 Port Canigó 344 has 1 double bedroom with a bright interior and 1 twin bedroom. The private bathroom includes a bath and a hairdryer. A range of bars and restaurants are located within 5 minutes´ drive, as well as a supermarket and Aquabrava Water Park. Barcelona-El Prat Airport is 165 km away. Free parking is available at the apartment.